Buy Natural by Nature tea tree essential oil - 10ml in the UK from our online shop or directly from our independent Scottish store. Tea Tree (Melaleuca alternifolia) essential oil from the leaves. Natural by Nature's Tea Tree (Melaleuca alternifolia) essential oil is from the leaves. An oil that has many uses and long used by the Australian aborigines for its medicinal properties. Valuable for all types of skin problems. It has anti-bacterial, antiseptic, anti-viral, anti-fungal properties. It has a fresh, sharp, pungent and camphorous aroma. Where can you buy real Tea Tree Essential Oil 10ml safely online? If you are wondering where you can buy Natural by Nature tea tree essential oil - 10ml safely online in the UK, then shop with us. 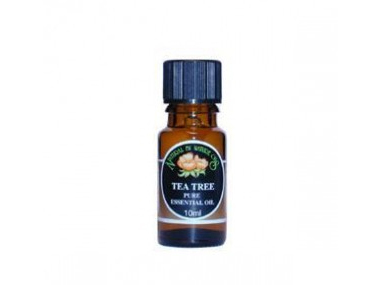 Tea Tree Essential Oil 10ml - Natural by Nature tea tree essential oil - 10ml in Essential Oils and Aromatherapy.